To sign up for your starter kit, ORDER HERE and make sure the number 2394646 appears in both the “Enroller” and “Sponsor ID” fields. I highly suggest getting started with the Premium Starter Kit with the Desert Mist or the Dew Drop Diffuser. Signing up as a member does not mean you have to sell oils, it just means you are getting a starter kit & will receive 24% off retail prices should you choose to order again. Next, you can choose to set up your Essential Rewards monthly autoship. I highly recommend this as a way to order those things you wish to have outside the kit and begin to cut toxins from your home with Young Living cleaning products & makeup. However, signing up for autoship is not required to receive your 24% discount. 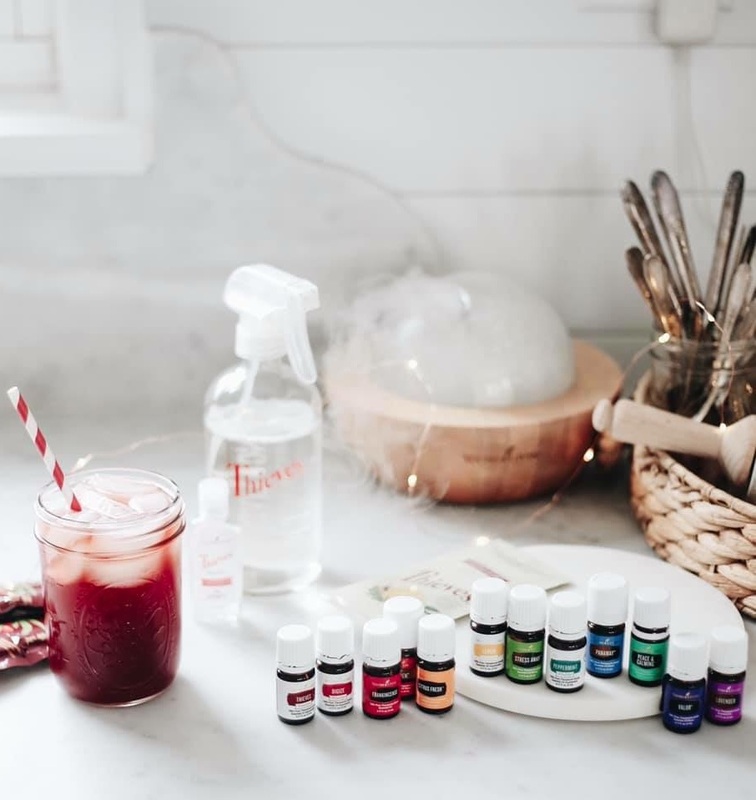 When you sign up as a wholesale member, you have the option of joining our private wellness group on Facebook, which is where you can learn everything you need to know about using your oils & connecting with an amazing and inspiring community. If you are interested in selling the oils and earning an income, I would love to have you! I am passionate about helping women earn income to help support their families! We have monthly business bootcamps & provide a step-by-step mentorship program to everyone who joins our tribe! Grabbing your starter kit is simple! Simply CLICK HERE and follow the 5 steps below! 1. Check "Wholesale Member" (this is really important!) rather than "Retail Customer". This doesn't mean you have to sell oils! It simply gets you your kit + a 24% wholesale discount. 2. Choose the starter kit with the dewdrop diffuser or desert mist diffuser - unless you want to upgrade to the Rainstone or Aria (MY FAVE)! 3. Now, you can set up a monthly wellness box (called Essential Rewards). This is my absolute favorite part of Young Living! It is hands down the best way to begin a nontoxic lifestyle and receive SO many freebies/rewards points in the process! + Cinnamint Lip Balm // Infused with pure cinnamon and peppermint essential oils! These never leave my person. + Mineral-based bronzer in “Summer Loved.” // For the BEST sun-kissed gloooow. Um yes. + Progessence Plus // Hellloooo hormones + glowy skin support! 2 drops on your forearms every day is all you need. I will never NOT have a bottle on hand. + White Angelica // I wear this oil as a perfume on my wrists and it’s a part of my bedtime sleepy diffuser blend that I use every. single. dang. night. + Purification // eliminates odors like you wouldn’t believe! I add a couple of drops to particularly stinky loads of laundry (or ones I’ve left wet in the washer for a day - or more - oops!) + on a cotton ball in the bottom of trashcans + down the garbage disposal + a drop on a breakout + diffuse after cooking broccoli. It’s a must-have. + Cedarwood // bedtime necessity + hair health. Add it to hair masks & face masks! Put a drop on your big toe before bed for some serious sleep support. + Orange // For whiter teeth + up level your diffuser blends. Citrus oils are my favorite way to jazz up a diffuser blend and Orange is the BEST! + Tranquil roller // You need this! For sleep support + chilling out + calming the kiddos during witching hour. + Mint Facial Scrub // Gently exfoliates and leaves your face minty-fresh! It feels like a straight up spa and rejuvenates your skin so well! Use 2x a week (I like to keep it in the shower)! 4. Enter your name, address, etc.! Create a username, password, and pin. Write these down so you have easy access to the site again! 5. Check out and confirm! I am so excited for you to get your kit & enter our amazing community. You're in good hands! After you sign up, I will email you with alllll the info you need within a couple days!